"The Cameron Round Corner Chair features black resin wicker and comes complete with Bermuda coloured cushions. 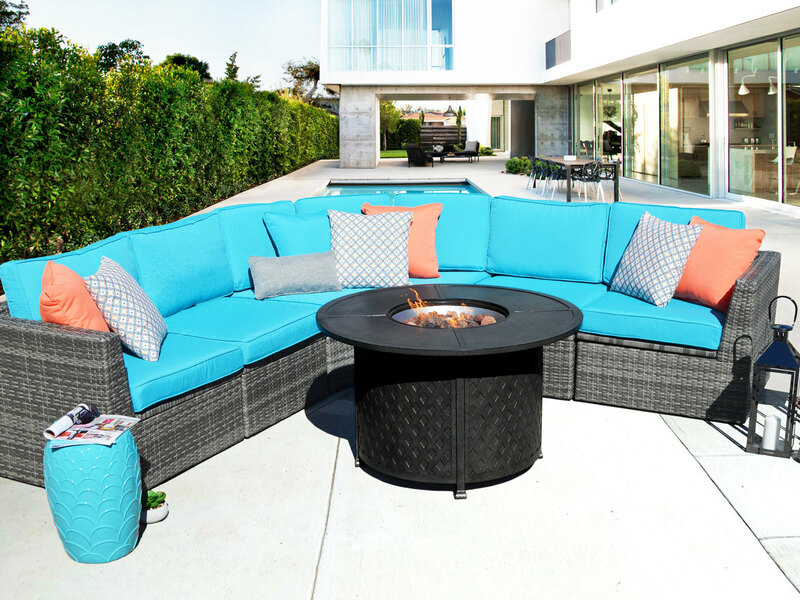 The Cameron resin wicker sectional collection gives you the opportunity to create the ultimate outdoor patio area. Built with durable aluminum frames and wrapped with all-weather resin wicker, these unique pieces of outdoor resin wicker furniture are perfect for any outdoor patio. The Cameron resin wicker sectional collection will bring you comfort for years to come. This collection features a unique store option under the seat that can be used to protect your cushions from the sun's harmful UV rays"